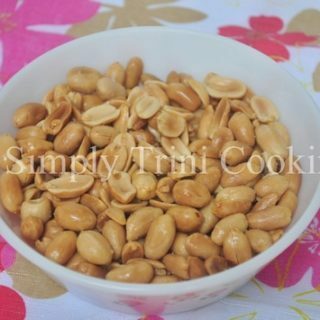 Add peanuts to pot add enough oil to cover peanuts set flame to low and let fry for 20 mins. Drain on paper towels and let cool. Add about 1 tsp of salt and toss.